“My favorite thing about being a surgeon is that my work has a meaningful impact on the quality of life that my patients will have. I work with each patient to develop a trusting relationship with shared goals and a real understanding of the process to achieve those goals.”. 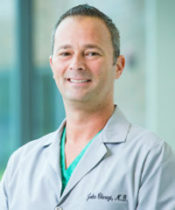 Dr. Motl is a fellowship-trained colorectal and general surgeon. She specializes in minimally invasive and robotic surgery using the da Vinci surgical system, which provides a 3D high definition view inside the patient’s body. 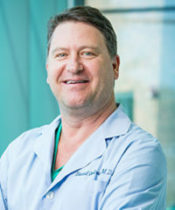 Dr. Motl treats patients with a broad range of benign and malignant pathology including colon and rectal cancer, Crohn’s disease, ulcerative colitis, diverticular disease, pelvic floor disorders and anorectal disease. 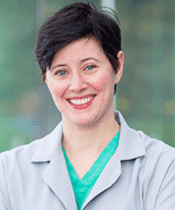 She is board-certified in general surgery. Preserving her patients’ function and quality of life is her highest priority. 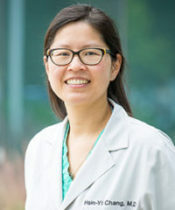 Dr. Motl is trained in TAMIS (transanal minimally invasive surgery) and taTME and has a special interest in sphincter and organ preservation for her patients with rectal cancer. She invests time in getting to know each patient so that they can identify a mutual goal together. From there, she works with her patient to develop a plan to reach the best possible outcome.